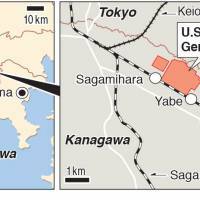 An explosion rocked a warehouse at a U.S. military base in Sagamihara, Kanagawa Prefecture, about 40 km southwest of Tokyo, but there were no reports of injuries, fire officials said on Monday. The local fire department said it received a call just after midnight of an explosion at the warehouse, where it said “dangerous material” is stored. It dispatched firefighters, and said later the blaze had subsided with little danger of it spreading since there were no adjacent buildings. The cause of the fire was not immediately known but metal oxygen tanks in the warehouse may have exploded, firefighters said. Defense Minister Gen Nakatani said Monday the incident was regrettable as it would cause great fear among the local residents. The Sagamihara city government announced that Col. William Johnson, who commands the U.S. Army Garrison Japan, offered an apology to Mayor Toshio Kayama by phone on Monday. 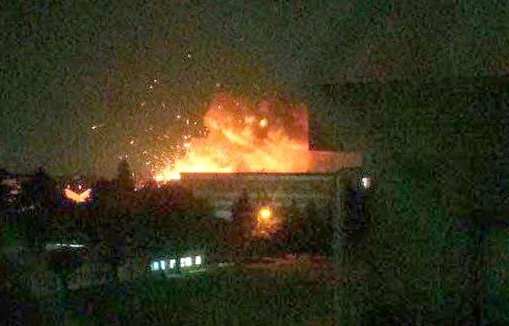 The Kanagawa Prefectural Police said the U.S. military will look into the cause of the incident, as the fire occurred within the base premises. 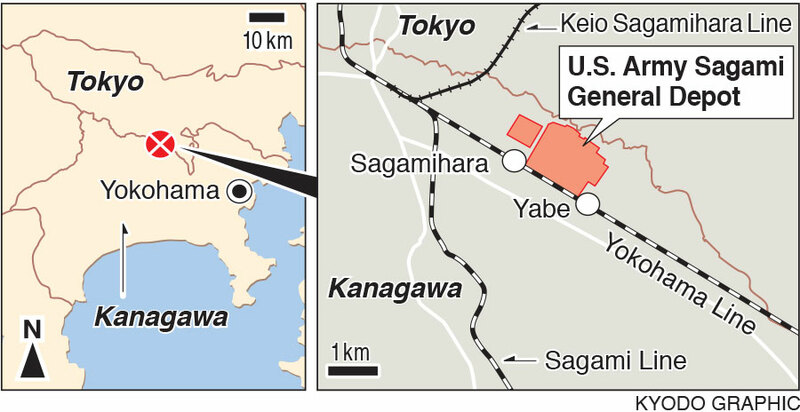 The Kanagawa police said Japanese authorities do not have the jurisdiction to investigate in the event of an accident on a U.S. military base or facility due to the Japan-U.S. Status of Forces Agreement. Only if there is damage outside such a facility will Japanese investigative authorities get involved. 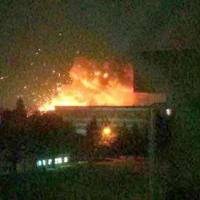 In Washington on Sunday, the Defense Department said it had received no reports of injuries and did not yet have further details about the explosion. It added the warehouse contained no hazardous materials and that there were no munitions or radiological materials in the depot. Japanese authorities said they had been informed by the U.S. military that work was continuing in order to determine the cause of the incident. 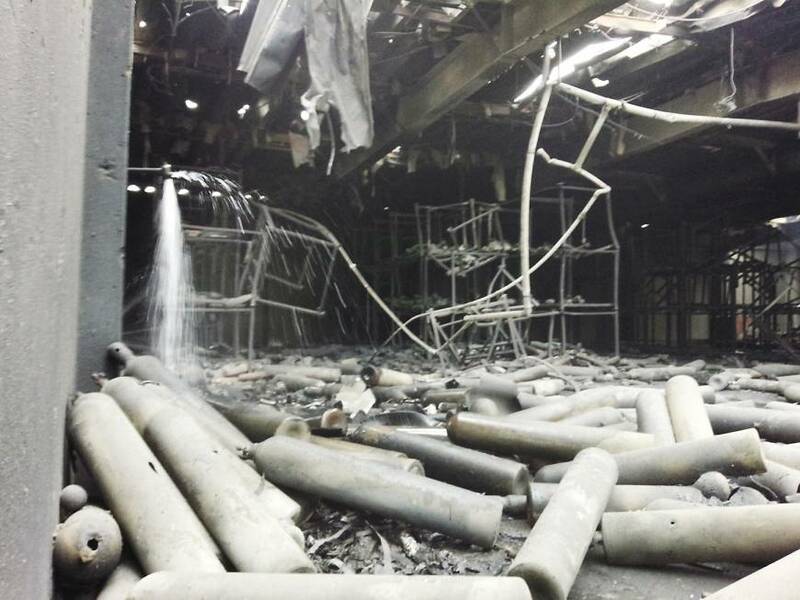 After consulting with U.S. base officials, the firefighters decided not engage the fire as the condition of the warehouse’s contents was unclear and there was no fear of the fire spreading. There are no other buildings around the military depot, which covers some 200 hectares. They used water to help put out the flames after confirming there were no hazardous materials in the warehouse. The midnight explosion occurred near child care facilities. An hospital in the area also raised concerns among residents by saying the base’s warehouse might have been storing dangerous materials. Nariaki Ishida, 67, who lives just across the railway tracks that run past the depot, said he heard a crackling noise while watching TV. A 45-year-old office worker, who also lives in the area, said he heard the blast, which happened around 12:45 a.m. When he went outside to see what was going on, he saw a cloud of smoke drifting over the depot, which is only 1 km away from his home. 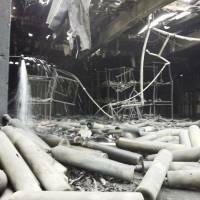 He said a series of explosions stopped after 10 to 15 minutes, but that he heard another loud noise half an hour later. “I didn’t have worries before as I’ve heard it was just a material storage site, but when you see something like this, you start thinking in a totally different way,” the man said. On Monday morning, residents continued to express fears about safety in the area. “I was awoken by the roar of a series of explosions and when I looked through a telescope I saw columns of smoke and a pillar of fire,” said a 70-year-old woman who lives in a residential area just in front of the depot.